Hanging baskets with full of beautiful flowers definitely provide a special, attractive look to your garden. Choosing the best flowers for hanging basket is not an easy job. Never mind, here the list of 9 most beautiful flowers for hanging baskets. Petunia is one of best flowers to grow in hanging baskets. 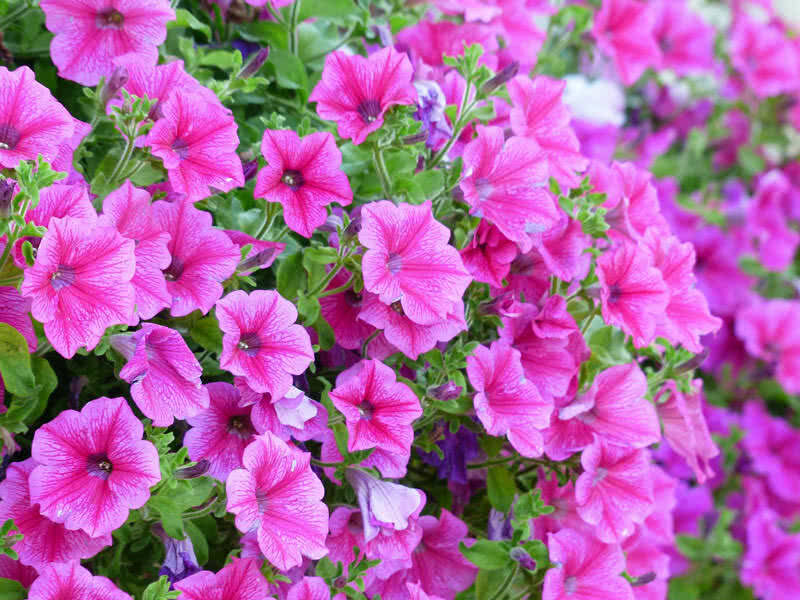 There are 35 different species of petunias in the world. the great variety itself is the main feature of petunias. It produces single or double blooms in different shapes and sizes. Petunia flowers come in a myriad of colors and textures. Grandiflora, ground cover, cascadia and surfinia are best varieties of petunia to grow in hanging baskets. Petunias should plant in a location with plenty of light. Watering once a week is sufficient for petunias. They will bloom repeatedly throughout the summer. The colorful petunia flower also spread lovely fragrance in the air on blooming. Sweet alyssum is an annual flowering plant that produce small clusters of beautiful flowers. 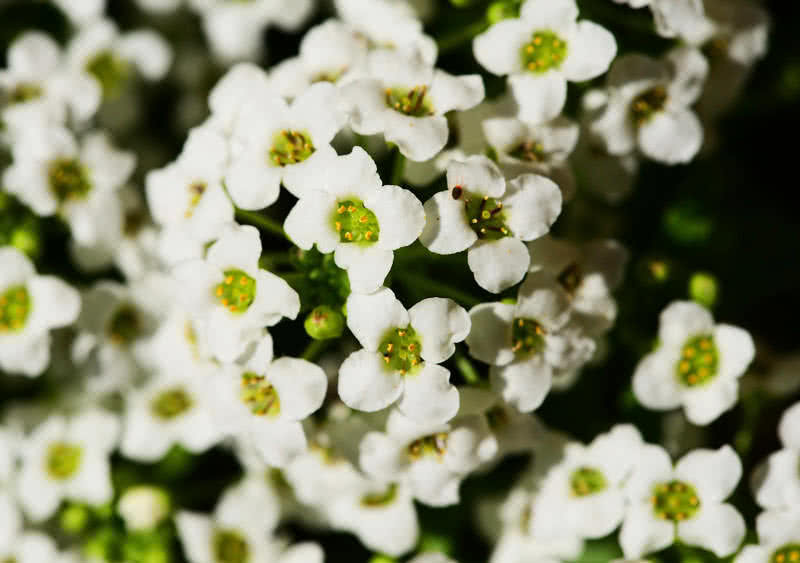 The tiny sweet alyssum flowers comes in white, pink, red, violet, yellow or purple colors. Sweet alyssum is also one of the pleasant smelling flowers in the world. It grows well at borders, rock gardens, in containers and hanging baskets. The sweet alyssum grows best in well-drained soil. After planting the seeds, hang the basket where it get full Sunshine. It is very important for the growth of sweet alyssum plant. It should also be well-watered during dry weather. The small clusters of beautiful, tiny flowers will appears throughout the summer. The pleasant smelling, beautiful sweet alyssum flowers are best for making bouquets. 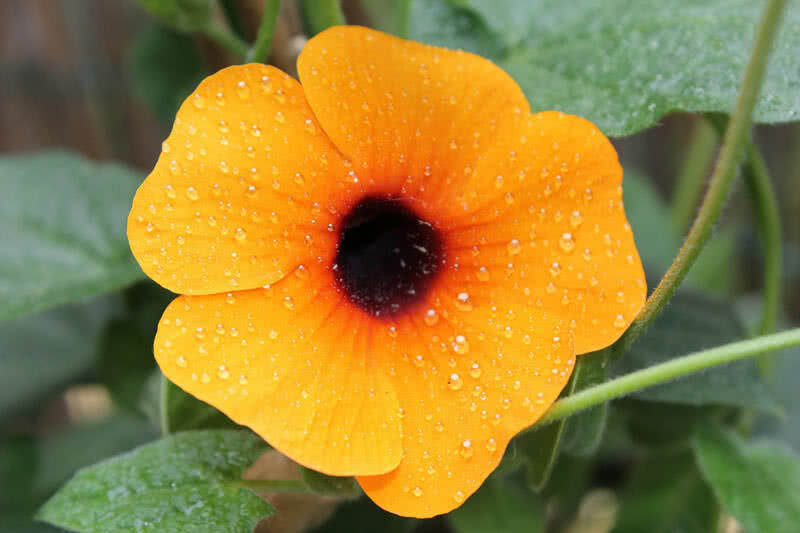 The black-eyed Susan vine is a perennial climbing plant that grows almost 8 feet in length. On blooming, the plant produces tubular flowers with five petals with the distinctive black spot. The petals come in orange, red, red-orange, white and bright yellow colors. Black-eyed Susan vine grows as a showy plant in gardens. It grows well in hanging baskets and other types of containers. It is easy to grow the black-eyed Susan vine from the cutting. First of all, fill the basket with well-drained soil. Then plant the cutting and hang the basket where there is full Sunshine. Regular watering is the must during the growing season. Black-eyed Susan blooms repeatedly from early summer to fall. Clematis is a popular climbing vine that produces showy blooms of red, purple, blue, yellow and white, There are 300 varieties of clematis in the world. Some species of clematis grows 20 feet in height. This vigorous climber also makes a great hanging basket flowering plant. 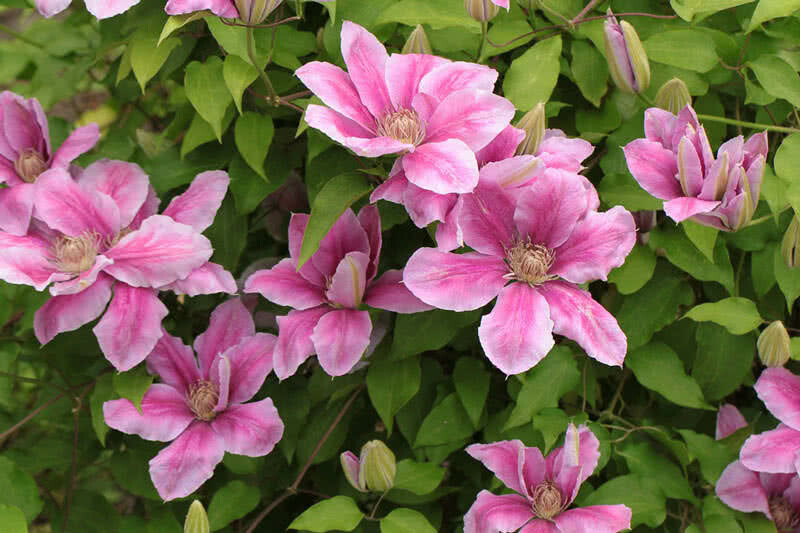 The barbara jackman, miss bateman and bee’s jubilee are main three varieties of clematis that suited well for hanging baskets or large containers. The basket should hang in a sunny spot. The regular watering is also important for the healthy growth of clematis plant. It blooms throughout the summer to early fall. Fuchsias are one of best hanging basket flowers in the world. There are many varieties of fuchsia plants to choose for your garden. You can find fuschia flowers in single and two -tone colors in different shapes and size. On full bloom, the colorful fuchsia flowers will hang down from the basket and it can be a great sight to behold. The fuchsia plants should plant in moist soil. This plant prefers cooler temperature for the healthy growth. Fertilization in every two week is important for the fuchsia plant. 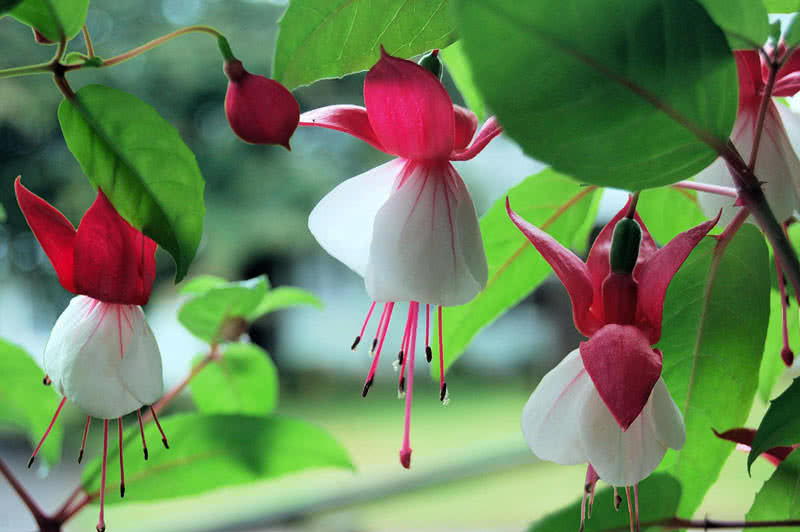 Depending on the species and climate, the blooming time of fuschia varies. Under normal condition, it blooms between March and April. Geranium is a popular bedding flower that comes in the variety of sizes and shapes. 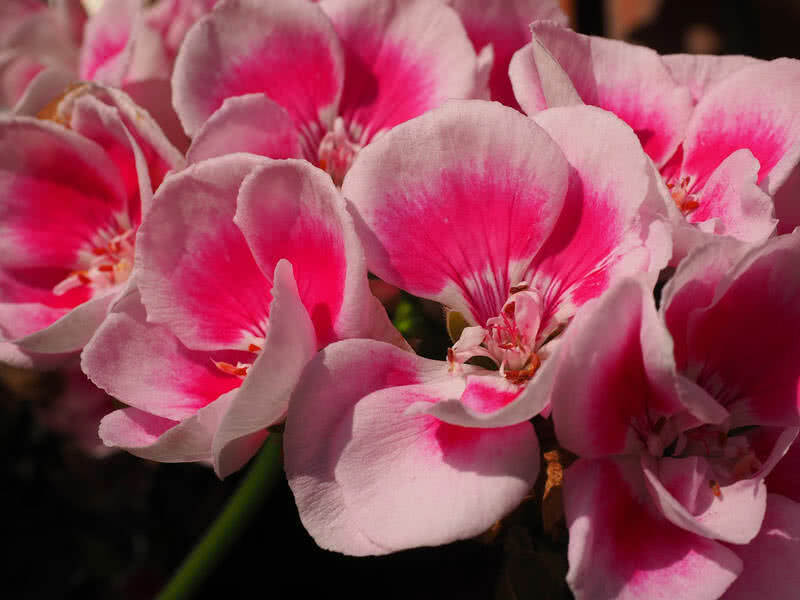 The single or double geranium flowers comes in pink, blue, white, orange, red and purple colors. Geranium is commonly plant in hanging baskets. It also grows best in beds and borders. Spring is the best season to plant geranium plants. It grows best from the cuttings. At first, fill a basket with well-drained soil and plant the cuttings. Then hang it in a place where the plant gets full sunshine. Fertilization is also important during the growth of geranium. The blooming season changes between the species. However, most of geranium plants bloom throughout the fall. With a myriad of colors, lantana is definitely one of the most beautiful flowers in the world. It is a genus of 150 flowering plants. On blooming the plant produce small clusters of beautiful tubular flowers in variety of colors including pink, yellow, lavender, white and orange. It is an ideal flower to grow in hanging baskets. 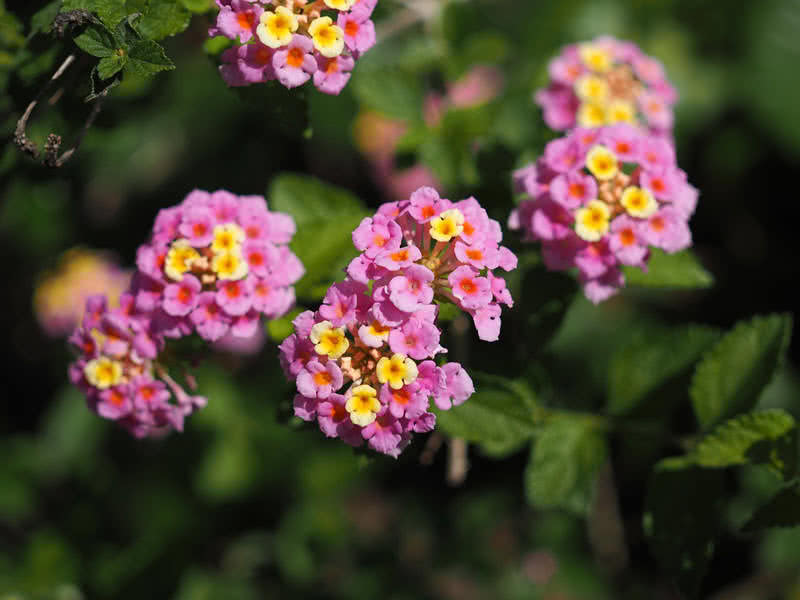 Lantana is easy to grow flowering plant. Hang the basket in warm, sunny spot after planting. Frequent watering is the must during the growing stage. Lantana bloom throughout summer and fall. In a single plant you could see small clusters of different colored flowers. Begonia is an easy to grow and easy to care flowering plant that grows well in hanging baskets and other types of containers. There are over 1500 different types of begonias in the world. Depending on the species, the size and appearance of flowers also will vary. 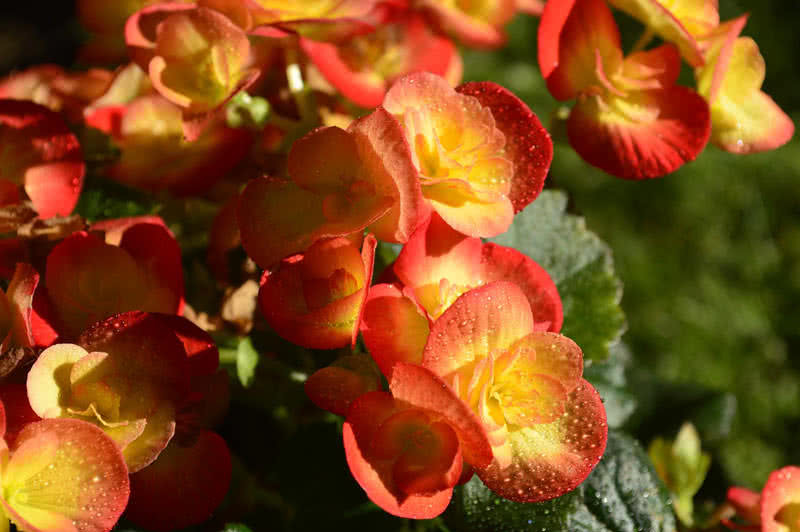 The beautiful begonia flowers comes in variety of colors including red, white, pink, yellow, bronze and gray. The begonia flower seeds are readily available in the market. To your surprise, one ounce of begonia flower seeds can produce more than 3 million seedlings. Choose well drained, fertile soil to plant the seeds. Full sunshine is also important for this plant. The colorful flowers will open from late spring through early fall. Lobelia is a beautiful, easy to grow annual flowering plant. There are about 350-400 varieties of lobelia in the world. The delicate lobelia flowers open in the variety of colors including blue, purple, yellow, white, pink and red. 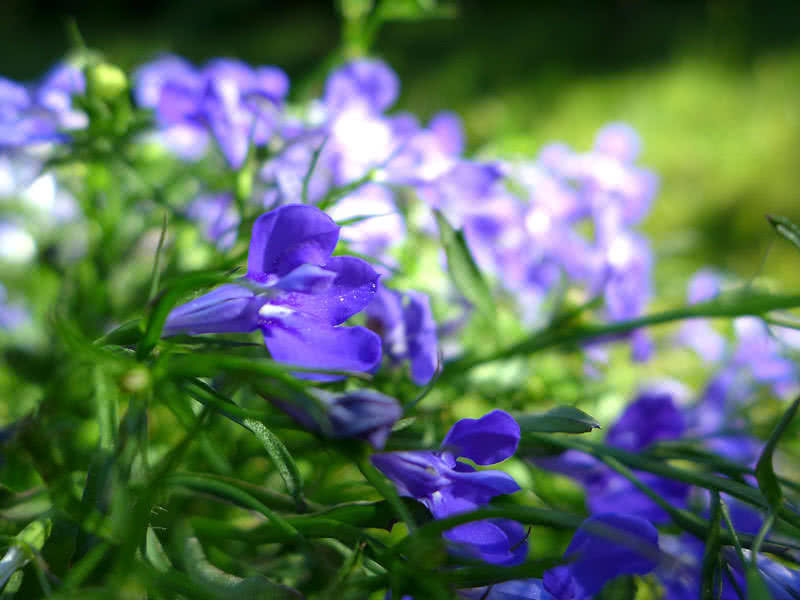 But blue and violet are most prominent colors among the species of lobelia. This beautiful species can be a great choice for garden borders and hanging baskets. Lobelia aberdarica, lobelia inflata, lobelia cardinalis, lobelia Cambridge blue, lobelia crystal palace and lobelia string of pearls are some of popular and most beautiful species of lobelia flowering plant. Lobelia plants are grown from the seed. It grows best in rich, wet soil. The plant also needs a partial sunshade. The colorful, tubular shaped flowers will open from summer to early frost. In addition to decorative purposes, the lobelia flowering plants used for a number of medicinal conditions including asthma, muscle disorder, and syphilis.